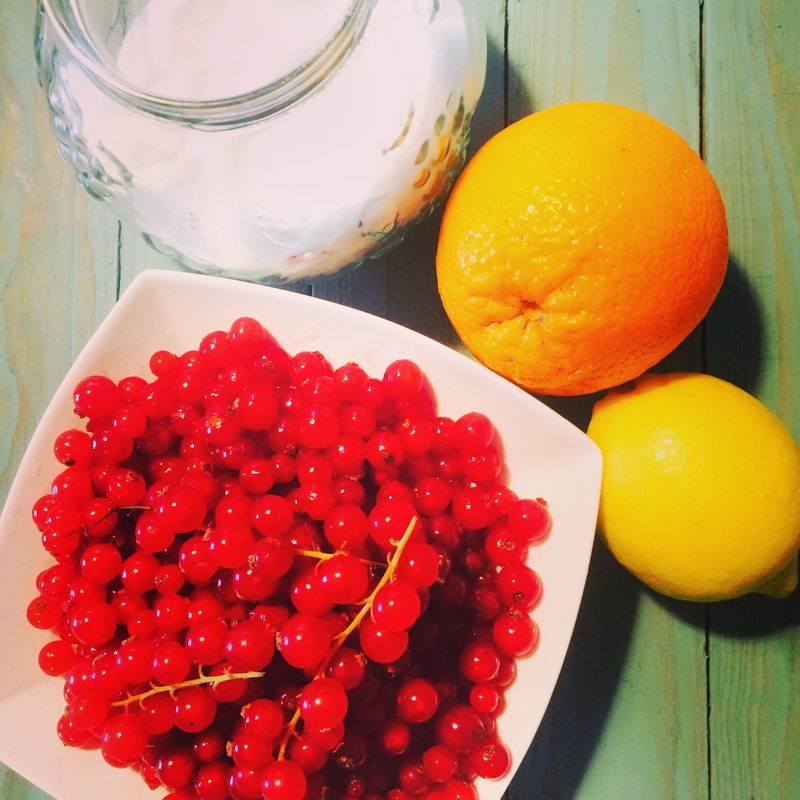 Redcurrants are such a beautiful fruit, so vibrant and the taste is tart and tangy. Therefore when making this recipe I made sure I didn’t add too much sugar as it would be a shame to lose the flavour and the tartness. 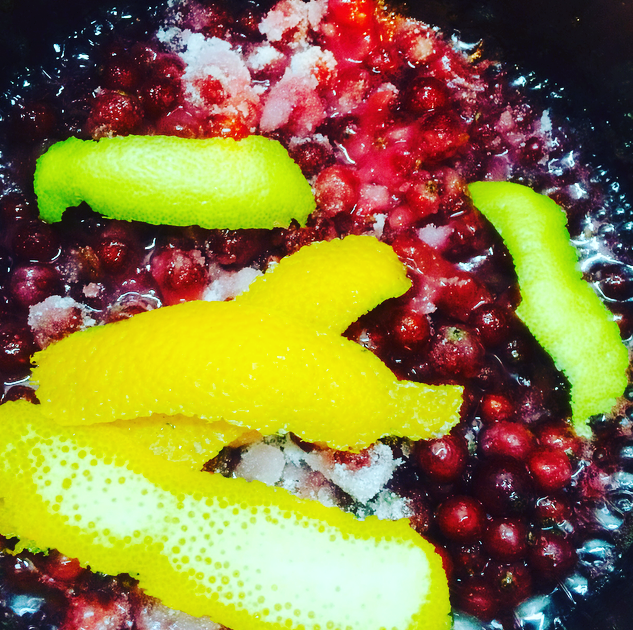 I also added a little zest of orange for a slight orange flavour, and lemon zest as a thickener…..this is not a jam so I am not using too much lemon/ or any pectin or jam sugar, but at the same time I do not want the sauce to be too runny. This is more like a chutney consistency; in between a jam and a sauce. The colour is amazing and bright and the taste is delicious…. Pull the fruit off the stalks and wash, you can leave the heads on them. Take a potato peeler and peel 3 strips of orange zest and 2 of lemon. 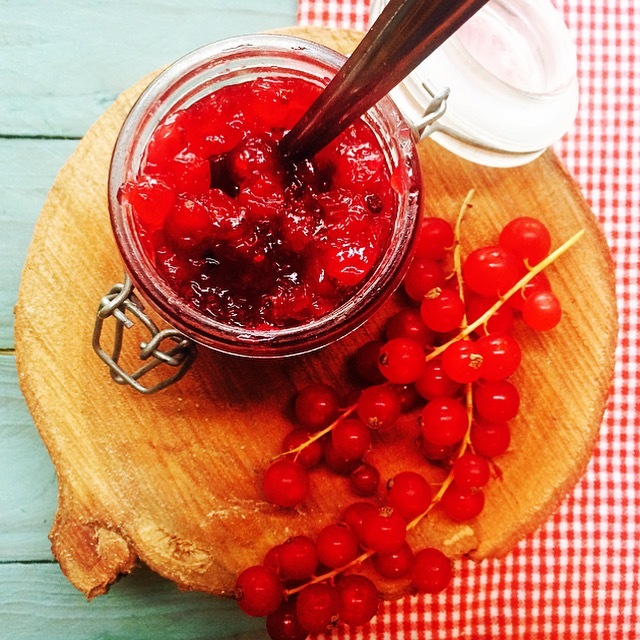 Take a couple of spoonfuls of the redcurrants and set aside for later. Put the rest of the fruit in a pan with the sugar and all of the zest. Bring to a boil. Let this bubble away for 10 minutes. Skim away any foam from the pan as this will dis-colour your sauce. Add the rest of the redcurrants, simmer for another 5-10 minutes but no longer as you want the fruit to keep its form. Carefully remove the lemon and orange. Jar up!! You can pop into a sterilised jar if making in advance. Pull the fruit off the stalks and wash well, you can leave the heads on them.